We promote internal cleansing to help remove toxicants that accumulate in your body as a result of your diet and the environment around you. But if you want to take your efforts a step further, cutting back on the food-related toxins you ingest is a good idea. And there's no better way to do that than clean up your diet with a detox diet. A detox diet – also called an elimination diet or a cleansing diet – is a quick and simple way to kick-start a healthier lifestyle. 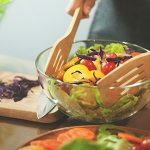 Doing a detox diet involves eating clean for a certain period, removing items from your diet that commonly trigger reactions, and slowly reintroducing foods afterward. Maybe you want to clean up your eating habits, lose weight, get rid of the blahs, or identify a food allergy or sensitivity. But detox diets have become so popular that it can be difficult to know where to start. Here, I outline the nine steps to a safe, easy, and effective one-week detox diet. You can extend or shorten it as you desire, but a week is a good baseline length of time to see change. Take your body measurements, including weight, height, and waist, hip, and upper arm circumference. To evaluate your overall wellness, take our general health questionnaire the day before you begin. Visit your healthcare practitioner for a physical evaluation. Check your blood pressure, as well as your triglycerides and cholesterol, blood cell count, and B-12 level. If you are detoxing for a specific reason, educate yourself about the issue. Further inform yourself by reading my book, The Green Body Cleanse. Find online support groups, including forums or Facebook groups with others who want to or have already done a detox diet. Buddy up. People are more successful when trying to make life changes if they have a partner or friend to work alongside or hold them accountable. Learn about food combining so you can find recipes that follow the rules outlined below. Create a meal plan for seven days using allowed foods and combos. Make a grocery list with all the items needed for your recipes. Clean your kitchen pantry and refrigerator of tempting foods on the no-list. If you don’t want to toss everything, at least move tempting items to another room where you will not see them. Discuss your plan with your family to ensure the best chance for success. Buy all the fruits, veggies, and condiments for your meal plan. When putting your new products away, read the labels, and make sure you have everything you need for the recipes you’ve selected, and easy, healthy snacks. Buy or make your own toxic-free body products and cleaning supplies during this week and into the future. See our list of 19 chemicals to avoid in beauty products. Start on a Saturday so that you have the weekend to adjust. If you work outside the home, make meals on the weekend, freeze ahead, or make one big meal that you can eat over several days. Make sure that you have healthy on-the-go snacks, like nuts and fruit. Redo your inventory to take stock of any changes. Take all the same measurements you did at the beginning if you can. At a minimum, weigh yourself and take body measurements, blood pressure, and redo the online health questionnaire. Do you see any improvements? If you’re going to reintroduce the eliminated food groups like meat, dairy, and gluten, do it gradually – one every few days. Because they’re potential food allergens, reintroducing more than one at a time may cause you to miss out on identifying which items cause you digestive problems or other health issues. Notice and record your body’s reactions in a journal. If you react to a food or food group, eliminate it again, and then wait a couple of days. Introduce another food or food group at that time. How Does the Detox Diet Work? Each of the steps describes how to complete a successful one-week detox diet, but you can modify them to your needs and lifestyle. I’ll provide my recommendations, but I know people like flexibility. The true key to success is eliminating the foods that cause problems for you, observing how your body responds, and then slowly reintroducing foods back to your diet. How Long Should You Detox For? I designed the Body Detox Diet for a one-week period. I recommend starting on a Saturday, or whichever day you are off work so that you can adjust to the process. One week is an ideal period for a detox diet. If you are unable to do a full week, I recommend a minimum of three days, because it takes at least that long for the colon to clean out the previous contents and to feel a difference. You can try an oxygen-based colon cleanser like Oxy-Powder® to flush your colon, which will get things moving and give you a flatter belly and smoother digestion. If you want, you can go longer than a week. You can eat this way for two weeks, a month, or even a lifetime if you find yourself experiencing better energy levels and feeling great. It will boost your metabolism, cleanse your colon, and improve your health. What Can You Eat on a Detox Diet? My Body Detox Diet plan involves eating a vegan diet for one week; vegan means no animal products including meat, dairy, or eggs. For optimal results, you should also eliminate the items listed above, and follow our guidelines for food combining. Eating simple, organic, whole foods lightens the load on detoxifying organs like your liver and kidney while they eliminate the built-up toxins in your system, and you can identify what items cause your particular symptoms, by reintroducing them one by one afterward. I also recommend avoiding certain food combinations that I outline below. So what can you eat on this body detox diet? A lot! But it will take some work for you to plan, find delicious recipes to try, and stock your pantry with healthful choices. Eat as much organic food as possible, it's a healthier choice with fewer pesticides and higher quality nutrients. Some people may want to eliminate legumes, particularly if one of your body symptoms involves gas or digestive issues. If you do choose to eat legumes, soaking them overnight and then draining the liquid off removes some of the compounds that can cause gas. You may choose to eat fish or white meat during the detox diet, which is not optimal, but it will allow you to see how eliminating the other foods affects your body and health. Also be aware that people with gluten sensitivity or a gluten allergy can have cross-reactions with other grains that do not contain gluten. Some gluten-free items may get processed in facilities with gluten-containing grains, but even those that are not may cause a cross-reaction in the immune system. If you suspect you may be gluten-intolerant, try avoiding all grains for the duration of your detox diet. You may also want to spend the week surveying your home and eliminating body and cleaning products that contain toxic chemicals. Replace them with green, environmentally-friendly products, or even do-it-yourself (DIY) homemade cleaning products. 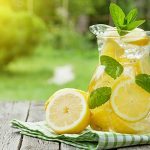 The first few days of a detox diet are often the hardest, and almost everyone experiences symptoms that are sometimes referred to as a “healing crisis.” A healing crisis involves symptoms such as headaches, nausea, mood swings, skin eruptions, and fatigue as your body eliminates toxins and adjusts to the new status quo of your diet. Stick with it, and by day three you will almost always feel better than ever with a boost of energy. You don’t want to give up too early, because by day three or four you will experience this awesome feeling. I recommend that you eliminate caffeine a week before you begin the full detox diet. Caffeine has harmful health effects, but for the cleansing diet, caffeine withdrawal headaches can be so intense they can derail you from your cleanse. The best way to eliminate caffeine is gradual, rather than going cold turkey. First cut down to a half-caffeinated cup, and then a small amount of caffeine, and then none – spread this out over a few days. Then after you have eliminated caffeine for a few days, you can start the detox diet the following Saturday. Some people may want to drink decaf coffee, but I recommend against it because of the toxic process used to manufacture it – it’s only for a week, after all. You can do it! Instead, you can replace your morning cup of joe with your favorite detox drink, or distilled water with a squeeze of lemon. The first step in any successful detox diet involves keeping track of where you are at the starting line. Take notes in a journal or your phone. At the end of the week, take the same measurements. You may not be able to return to the doctor to get another physical, but at least you can record your weight, body measurements, and blood pressure. Most grocery and drug stores have a machine to take your blood pressure for free. Measure your blood pressure when you are relaxed and unstressed. Anyone can eliminate certain foods for a week, but one of the most important benefits of a detox diet involves learning what foods cause your particular suite of symptoms – whether fatigue, digestive issues, bloating, skin eruptions, or headaches. And the only way to find out is to introduce the previously eliminated foods one by one back into your diet. Reintroducing foods one at a time is a critical part of any detox diet. That way you can identify which foods - if any - your body is sensitive to. I recommend starting with whatever item you are craving intensely. Add this group of foods or food item and eat that along with all the other allowed foods, but nothing else. So if you crave bread, try eating this glutenous food and see if you experience issues. Or if you really want meat, add that. 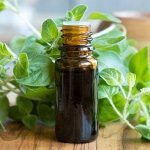 But if you experience unpleasant symptoms that you did experience during your week of detoxing, eliminate it again – if not permanently, at least so you can introduce another food type and see if it causes problems. If you are eating two food groups and one causes unpleasant symptoms, you will be unable to determine whether other foods cause issues as well, unless you try them one by one. If you do not experience any other physical or mental symptoms, introduce the next food, like sugar or caffeine – and again, have that with the allowed foods plus whatever groups of foods you have already started eating again. Take note of any different feelings or symptoms in your journal. For this specific detox diet, I recommend you follow these food combining rules for optimal digestion. In fact, I recommend these food combination rules all the time, but since you may not be using them already, do them for the duration of the detox week, at a minimum. The term pH refers to the power of hydrogen, as in the exponential or logarithmic power – a mathematical term rather than the other use of “power.” If you have 23, it means 2 to the power of 3 (2 x 2 x 2 = 8). With pH, for every number increase on the pH scale, it increases the concentration of hydrogen ions (H+) 10-fold. The pH scale runs from 1 to 14, with one being extremely acidic, seven being neutral, and 14 being highly alkaline. The body is amazing, and your organs work to keep it in homeostasis, or proper working order. The kidneys maintain the blood’s pH between 7.35-7.45, but even a 0.1 decrease means a 30% change in acidity. Although the stomach will always be acidic due to the gastric acid (between 1-3), the byproducts of foods are either acidic or alkaline and these pass into the small and large intestines, as well as the urinary tract and ultimately into the body. You should aim to make alkaline-producing foods 80% of the time, as they help reduce inflammation in the body. You want to avoid acidosis – an overly acidic body – which can cause mental wellness concerns, disease, and more. Eat foods that become alkaline in the body for optimal health. Whether food is acidifying or alkaline-producing is determined by its byproducts, not its raw state. Nutritionists run an analysis called the potential renal acid load (PRAL), which reveals the amount of acid that reaches the kidneys – the body organ that keeps the blood pH neutral (between 7.35-7.45). But recall that even a tiny movement in the pH of the body can have a major effect on its functioning since pH is on an exponential scale. Interestingly, some foods that are acidic when you eat them – lemons, tomatoes, and spicy peppers – become alkaline after the body processes them. Meat, fish, grains, some dairy, soda and sweet drinks, sugar, and high-protein supplements and bars have an acidifying effect on the body. Most fruits and vegetables have an alkalizing effect on the body – although this does not affect our rules for combining acid foods with proteins and starches, below. Eating certain combinations of food together, while avoiding other combinations, will prevent digestive upsets and keep things moving smoothly through the gut. Essentially, avoid eating any foods in these three categories together” starches, acid foods, and proteins. Proteins include meat, fish, poultry, eggs, dairy, and beans or other legumes. Starches include potatoes and other root vegetables, winter squash (e.g., acorn squash, butternut, spaghetti squash), corn, grains including rice. Acidifying foods include acidic fruits or juices, including citrus fruit (oranges, grapefruits, lemon), other sour fruits, and vinegar. Eating certain combinations of food together, while avoiding other combinations, will prevent digestive upsets and keep things moving smoothly through the gut. Some non-starchy vegetables that you can eat with protein or with starches include alfalfa sprouts, artichokes, asparagus, bamboo shoots, broccoli, Brussels sprouts, cabbage, carrots, cauliflower, celery, eggplant, green beans, leafy lettuce, leeks, mushrooms, okra, onions, peppers, radishes, rutabaga, sauerkraut, snow peas, spinach, summer squash, turnips, water chestnuts, and zucchini. Although nuts are a protein food, they are an exception to this rule of food combining. You can eat nuts (preferably raw) with acid fruits and acid foods because the high fat content in nuts delays gastric acid secretion until the body has assimilated the acid. I recommend you avoid combining meat and dairy in a meal. Meat and dairy both create acidic byproducts in the body, making the urine acidic rather than alkaline. If you eat a lot of meat and dairy together, it can disrupt the proportions of the two digestive enzymes pepsin and lipase that act to break down the meat. Undigested food can lead to a toxic buildup in the colon. When you drink water or other liquids with meals, it dilutes the stomach’s gastric juices and can slow digestion. I recommend that you avoid drinking 30 minutes before and after a meal to allow for the best result. If you can’t manage without drinking during a meal, consume small amounts. Eating five small meals throughout the day can help keep your blood sugar stabilized and your digestion in excellent working order. If you can’t manage five full meals, opt for three meals plus two snacks, such as a handful of raw nuts or raw seeds. Having five meals a day ensures your metabolism runs smoothly. It is not difficult once you make it a habit! Some recipes that you can enjoy during your week are listed below. You can, of course, find your own online or in recipe books. Share your favorite recipes with friends, and get their favorites to try. You can even enjoy delicious recipes kids love. If you see positive results from your detox diet, it may be a good time to make a longer-term step towards better health. You could extend the diet for a longer period, or permanently eliminate certain food groups that upset your digestive system. Another excellent way to extend the benefits of a detox diet is to do it in combination with a colon cleanse, a liver cleanse, or even a whole body cleanse. A colon cleanse cleans out your digestive system, including the toxic gunk that accumulates in your colon. The colon cleanse complete guide is a great place to start. If you want to boost your metabolism or your immune system, and you can follow this simple step-by-step liver cleanse guide. I recommend Global Healing Center’s Liver Cleanse Kit, Colon Cleanse Kit, and Body Cleanse Advanced Kit which includes products for doing several cleanses sequentially. Temporarily removing certain foods from your diet can help you identify food intolerances, discovering which foods make you feel tired, bloated, gassy, or grumpy. Detox diets can help you burn fat, lose weight and feel great. “I went on a [detox diet] for two weeks. It was then I discovered my gluten intolerance,” says Ronda G, an ecotour proprietor from Australia. She gave up wheat, dairy, milk, alcohol, and caffeine and saw positive changes to her health. “When I started eating bread again, my digestion problems returned, including bloating, gas, and occasional diarrhea.” Reintroduction often pinpoints the issues. Elissa Z, an aviation specialist in California, was extremely fatigued and yet unsure of the cause. A test came back positive for Candida, a systemic yeast infection in the gut. 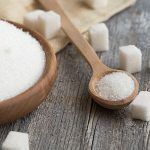 After first eliminating dairy, gluten, and other issues, she was told, to “‘Avoid sugar, that’s feeding all of the yeast.’ So I got super strict cutting out sugar.” That did the trick. When she eats gluten, she notices a “lump in her throat” feeling when she ate it. Though some symptoms remain, living with minimal sugar and no gluten has helped her fatigue and overall mindset. 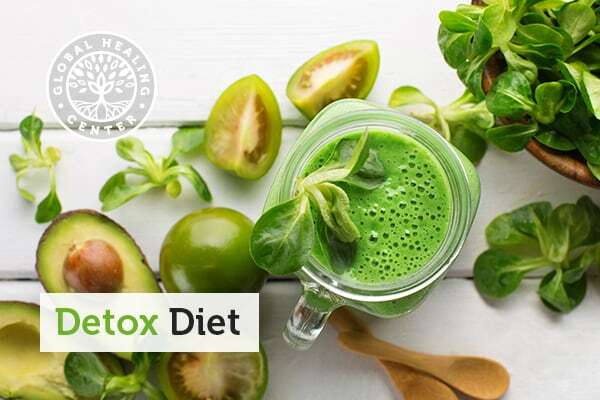 Let us know if you try this or another detox diet, and how it works for you! We would love to hear if you tried one of the recipes, or have any questions about food combining or the healing crisis. Leave a comment below! "A primer on pH. PMEL Carbon Group, National Oceanic and Atmospheric Administration." Accessed 18 Jun. 2018.